Here is another card I did from the http://www.twopeasinabucket.com/ Holiday Thinking Inking video series. There should be another video up today. I wonderful what fun things we will have to try out this week! 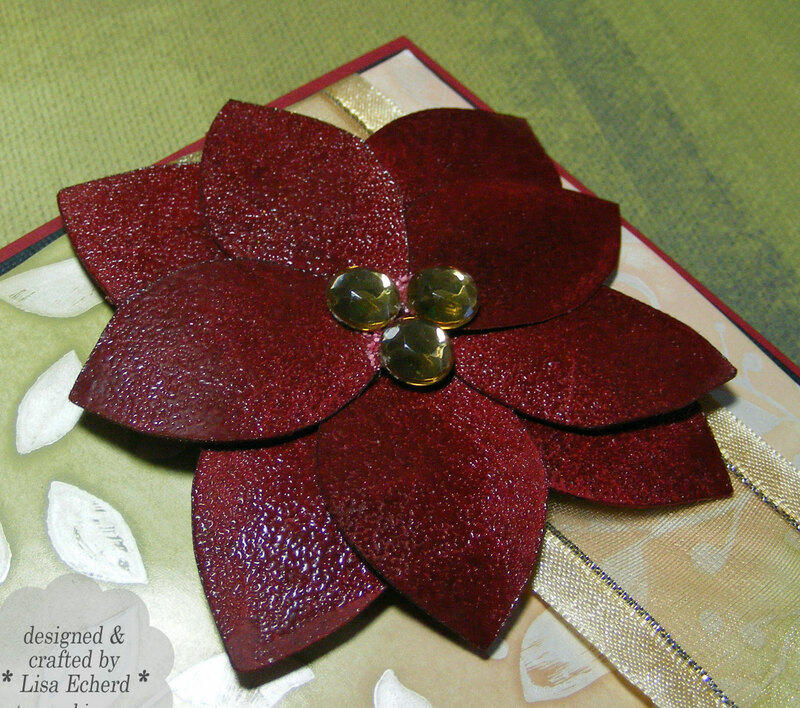 To create the poinsetta, I cut the petals from Cherry Cobbler cardstock using the Cricut and Saru's Flower dingbat font downloaded from dafont.com. I stamped over each petal with a leaf stamp in another shade of red ink to give a little more dimension. Then I coated each leaf with Versamark and embossed in clear embossing powder. I thought the leaves might curl on their own with all this handling but didn't so I curled them a little. I would do a little more curling next time. 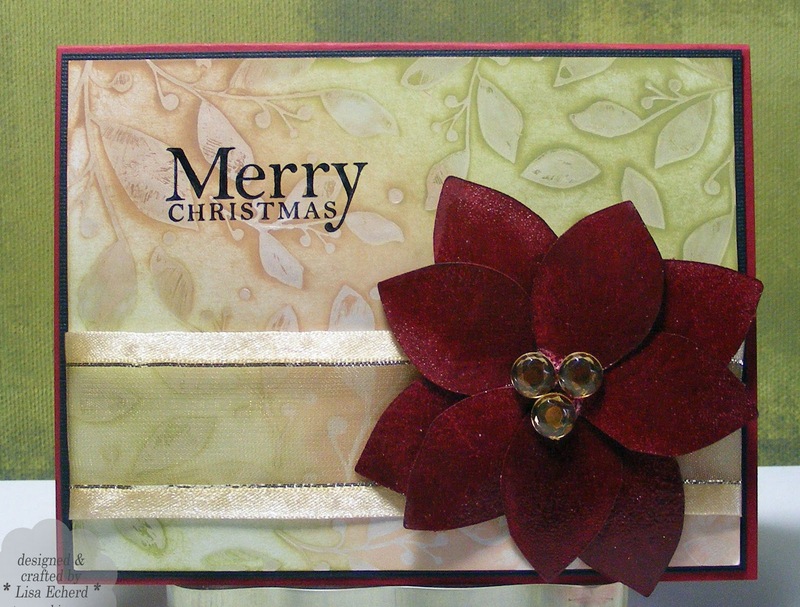 Ingredients: Stamps: leaf background from Hero Arts; All Holidays for greeting from Stampin' Up! Beautiful card! I have a feeling the clear embossing flower thing looks even more gorgeous in person!